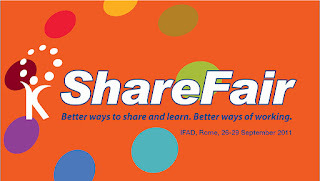 Share Fair is an innovative and interesting platform for learning, sharing, networking and collaboration. I am confident that thought provoking intellectual and stimulating atmosphere helped in cross fertilization of ideas, concepts and thoughts. I have been working in the field of indigenous knowledge and farmers innovation for the past several years. Presently I am coordinating a project implemented by a NGO Peermade Development Society based in Kerala ,India supported by ITPGRFA on food security ,climate change and agro biodiversity. In the share fair I am sharing a case study on reviving a locally adapted farmer developed cassava variety through women self help groups. The case study highlights the importance of local crops in mitigating climate change and climate change and participation of target groups. The local variety of cassava ( known as Ambakkadan variety) was spotted by a farmer Ambakkadan Thommi way back in 1964. This variety was quite popular during 1970s and 80s. Due to influx of hybrid and short-duration varieties, Ambakkadan variety had vanished from the field, and presently its cultivation is confined to a few individual isolated farmers in Kerala . But with increased prize for food crops recently and also due to non adaptability of hybrid crops , farmers remembered ambakkadan variety. The project team identified the isolated farmers who cultivating this variety and introduced the cultivation in two remote villages of Idukki district ,Kerala - ‘Karunapuram’ and ‘Cumbummettu’ - through 60 women belonging to three self help groups. . They got bumper production and the market demand is also very high for this variety, and for one kilo of cassava, they are getting Rs. 12 to Rs. 15. Besides these advantages, this contributes to food security at house-hold level. The success stories are slowly spreading in the village and demand for the setts is coming from farmers of every quarter now. At present, more than hundred women are actively involved in the cultivation of this variety and this will be extended to several villages in the coming years. The story reminds that economical value is critical for adoption of local cassava variety and question remains in other neglected and underutilized crops, how we will create economical ,social and cultural values for other neglected and underutilized crops. How to ensure the participation of various actors for the scaling up the concept and what are the institutional support and policy changes needed to promote local crops.